Queue the swimsuit-clad Miamians lounging on some of the best beaches in the country, surrounded by candy-colored buildings in the Art Deco District as the smell of fresh seafood and hints of Cuban cuisine fill the air. There are a ton of attractions and things to do in Miami, so check off a few of these imperative experiences with Vacations by Marriott. It’s no surprise that South Beach tops our list of must see-and-do in Miami. 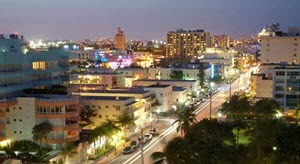 Its scene is known for bringing together the younger Magic City population with fruity cocktails and golden sands, and is the area of Miami with nightclubs that remain open well after the night ends. Here, palm trees sway high above designer boutiques, and rollerblades are the transportation of choice. In the Wynwood Arts District you will find converted warehouses and old buildings become canvases for the most artistic of Miamians. Between graffiti and colorful cascading murals that cover city blocks, you can find some of the most unique pieces in all of the city. 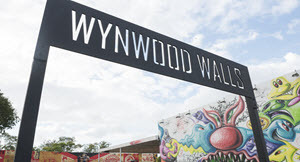 At Wynwood Walls, an outdoor gallery founded by Tony Goldman, a real estate developer, more than 50 artists world-wide have come and had their work displayed. View the work on foot or by bicycle, with tours being offered on weekends. When the weather is so amazing year-round, it’s not hard to see why the city holds so many celebrations and festivals that attract people from all over the world. 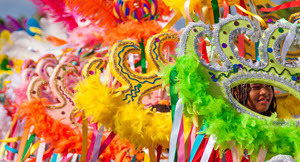 In the spring a celebration called Carnaval Miami is celebrated with 10 days of beauty pageants, culinary competitions and an upscale Latin jazz festival. The celebration ends in Little Havana with a 23-block street party with more than 30 stages full of musicians and celebrities playing salsa, merengue and Caribbean music. There’s also electronic music festivals where world’s top DJs preform under the sweltering Florida sun. Speaking of Little Havana, understanding its Cuban roots is an essential part of the Miami experience. In 1959 when Fidel Castro came to power in Cuba, hundreds of thousands of Cubans fled to its northern neighbor of Miami for freedom. Today, the citizens of Little Havana ode to their heritage in Mediterranean-style houses and Latin music on Calle Ocho, SW 8th St., while smoking none other than Cuban cigars. Luxury malls are a staple, and with a plethora of things to do in Miami, we suggest you add this one to the top of your list. Between the unique art and designer boutiques, there’s a variety of shops to satisfy the urge to spend. Arguably the most popular is the Lincoln Road Mall, once known as the “Fifth Avenue of the South,” and is lined with coffee shops, lounges, upscale retails, high-end novelty shops and, of course, art galleries. Another great option is Bal Harbour Shops, an indoor/outdoor mall packed with the highest-end retailors in the world, including Chanel, Gucci, Alexander McQueen and more. The port of Miami is known as the Cruise Capital of the World, serving almost 5 million passengers annually. Miami is home to the world’s largest collections of Art Deco architecture, with more than 800 buildings featuring Art Deco architecture. It’s not possible to travel too much further south in the United States than Miami, and the temperatures and humidity levels tend to reflect that fact. High temperatures in consistently surpass 70 degrees (Fahrenheit) from March to November, with weather in the 90s (Fahrenheit) on most summer days. June through September is considered the rainy season, and visitors will notice the high humidity. Miami usually experiences low temperatures in the 70s (Fahrenheit), and cold nights are rare – just ten days a year below 50 degrees (Fahrenheit).